There’is a tempIe not far from my home named Sang Arun, meaning tbe Light of Dawn. As I write this text in Munich, I can imagine the trees, the wind, and the heat over there. Outside my hotel window, the snow is blowing hard in the frigid night. The image of this far away tempie appears as I try to summarize the Primitive project. This tempie was the place where a monk – who lived in an air conditioned room – told me about ghosts. Ghosts will appear under certaill conditions, when it is not quite dark and not quite light (at the break of dawn aud twilight). At first the dead don’t realize that they are dead. When they pinch themselves, it still hurts. They think they still have their own bodies. But it’s just an illusion; all in the mind. They walk around talking normally to people but no takes any notice, no one can see or hear them. One night, the monk saw a floating light descending from the temple roof. It played around with a group of astonished young monks. Then it floated into the trees, circling around them and moving back to linger on the rooftop. Then it was transformed into a ball of glass. The monk later embedded this ball in the rooftop of a new monastery. This same monk – who has unlimited supply of incredible stories – gave me a little book called A Mali Who Can Recall His Past Lives. In it, he wrote about Boonmee, who came to meditate at the tempIe and could recall his multiple lives. He was an elephant hunter, a buffalo, a cow, and a wandering ghost. What interested me was that he was always reborn and wandered in the same region, the north-east, where l grew up. I envied his ability to remember back over centuries. He could see and replay his past. He didn’t need cinema. In fact, we don’t need cinema, if we can train our minds to ‘see’ like he did. Sadly, most of us are too crude, we are primitive beings. At the same time, I was also inspired by another book: Terry Glavin’s Waiting far the Macaws. In 2007 I was in Los Angeles and met Peter Sellars – another sort of monk – who happened to be the artistic director for the New Crowned Hope festival that produced Syndromes and a Century. As we parted, he handed me this book and said I might like it. I finished it on the plane home and concluded that I really liked it. This amazing book is an investigation into the disappearance of, among others, species, languages, and beliefs. There is a connection between Boonmee’s story and this book about extinction – the urgent need to try to remember, to try to catalogue something that is disappearing. 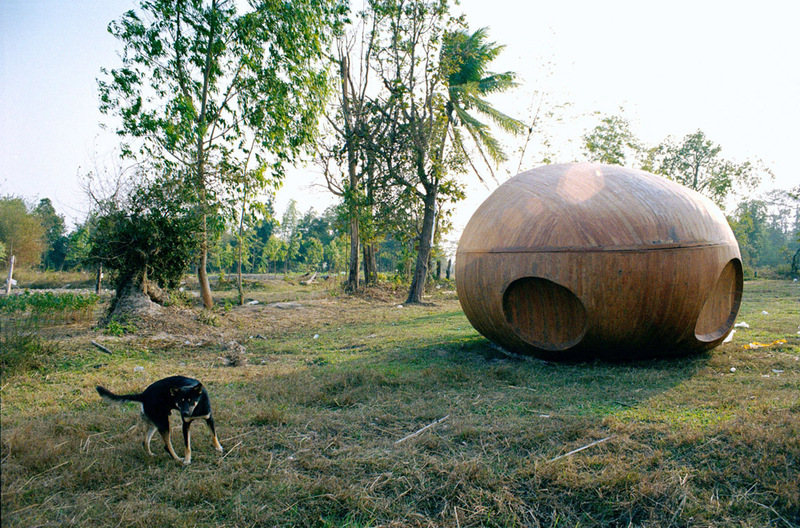 ‘These two inspirations somehow triggered my interest in the north-east of Thailand. For fifteen years I had lived in a town called Khon Kaen at the centre of the region, but I had never cxplored it as a whole. I doubt that many of the north·easterners do. This dry and arid land, despite its rich history, is quite off the map as a destination. I remember visiting various historical places with Khmer influences. But that’s the limit of my exposure. Many of thc people here seem to abandon these ruins and migrate to Bangkok to work as cheap labour. Once there, they are looked down upon because of their darker skin and a dialect that resembles those of – our Laotian neighbors, presumed to be an unsophisticated bunch. I was curious to see what was left in this land that harboured Boonmee’s spirit. I travelled with my usual assistants and Jenjira, my actress. Coincidentally, all of us are north-easterners who no longer live there. lt was a chance, an excuse to revisit certain places. We had no set plan, except to try and find Boonmee’s offspring and visit Jenjira’s family. Because Boonmee’s era was long ago, information about him was vague. We drove blindly from town to town and asked old people and village chiefs about his relatives. We discovered that people who share Boonmee’s last name were to be found in different places in the north-east. During the search, we stumbled on some reincarnation cases. There was one that involved a young woman who could recall her previous life as a boy in another village. She visited the dead boy’s family and could recount private stories of the family in detail, to me amazement of the parents. Soon there was a rivalry between the parents of her past life and those of the present life, each wanting to be loved by (and to shower love upon) their kid. This incident reveals the complication of remembering too much. If all of us could remember our past lives, perhaps we would constantly travel to meet and greet our numerous past friends and parents all over the place, humans and animals. Some people might seek revenge upon those who killed and hurt them in the past. Or perhaps, on the contrary, there would be a better understanding of human nature, a better understanding of why we love and why we kill. As we headed closer to the Mekong river near the Thai-Laos border we found ourselves in a flooded area. The roads and the houses were inundated. On the wall in Jenjira’s house there was a trace of the water that had just receded. Her father had just moved down from the second fIoor, where he had been trapped for a week. I interviewed him and was transported back to the time when this area was mostly jungle. He talked about the 60s when he was a government official curbing communism. It was the first time on our journey that the word had been spoken. Jenjira’s father would drive a Land Rover with his mates and show 16mm propaganda films to the villagers. To counter communism they tried their best to befriend the locals, and in the process, enlightened them on the virtue of Thailand’s three pillars: Nation, Religion, and Monarchy. His story reminded me of my parents. During that time the government sent out troops of doctors to care for those who lived in remote areas. The agenda was the same – to let the villagers feel that the ‘centre’ cares. My parents told me about their excitement at being in a helicopter. In a way, they felt good about themselves doing good deeds. My mother had a lovely time shopping for beautlful silk that the villagers brought for sale. Communism benefited all. In the car, Jenjira told me about the time when she was in high school. One day the soldiers paid an unexpected visit to her house. They raided tbe shelves and the cabinets looking for apything red. It was a forbidden colour that would land you in trouble. Even a sketchbook with a red cover would be confiscated and destroyed. After the soldiers left, her father took her into a corner and said that he had found to her by red books aod burned them. Jenjira apologized and said that they were passed along to her by her peers at school, and thar she hadn’t read them. A few weeks ago, Jenjira called me in great excitement. ‘I’ve found the books! I have found the books!” It turned out that, after all these years, her father had kept her collection of Mao and Marx. She told me she was now alone with these books, tending the house, while her father was in hospital for a few days, waiting, along with other villagers, for his turn to have heart surgery. The doctor at this city hospital is so busy thar it could take weeks for his turn to come. There used to be brighter days, when the ‘centre’ at least pretended to care. We drove along the Mekong River where parts of the towns were devastated by flooding. The news of Bangkok politics were at full volume, overshadowing the reports of the insignifìcant submerged towns. We continued to stop along the way, partially looking for signs of Uncle Boonmee. I kept wondering why he chose to remain in this awful land. No, the landscape is pleasant, but the way its people are treated is brutally awful. Among several villages we visited, not far from the Mekong River, was one called Nabua. This sleepy village in the province of Nakhon Panom was one of the places the Thai army occupied from the 60s to the early 80s in order to curb the communist insurgents. There was no link to Booomee here except that the village is also full of repressed memories. It was a place that, when I had moved on to other villages, I could not get out of my mind. It was the same effect the two books had had on me. A few weeks later, I found myself back in Nabua. I decided to work there, investigating its history and documenting its landscape. It is a place where memories and ideologies are extinct. It has become the heart of the Primitive Project, Part One. In the 60s the soldiers erected a base in Nabua to administer the villagers’ daily activities. The locals were psychologically and physically abused on the grounds of withholding ioformation. Women were raped. Some were murdered in their homes. Consequently, the villagers, mostly farmers, fled into the jungle. Most of them didn’t understand the word ‘Communism’ though they were accused of being communists. On the morning of August 7, 1965. 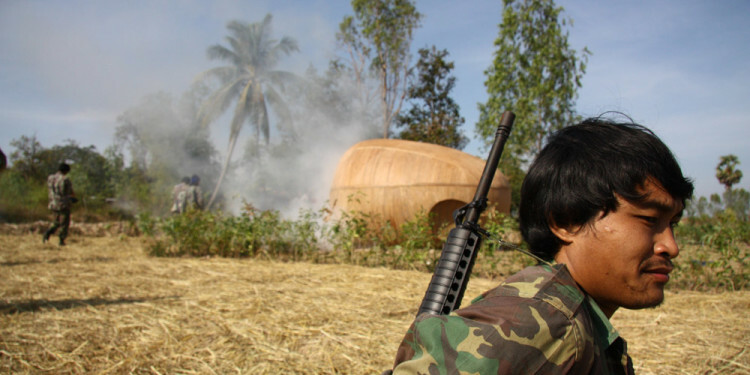 Nabua earned its nationwide reputation, when the first gun battle between the farmer communists and the totalitarian government broke out in the rice fields. As a result, Nabua was hevily occupied and controlled by the military. The torture intensified. Fear proliferated. More people escaped into the jungle. The night sky was illuminated with military flares. The village was left with mostly women and children. Ironically, Nabua is situated in Renu Nakhon district, where there is an ancient legend about a ‘widow ghost’ who abducts any man who enters her empire. She takes them to join her other husbands in an invisible land. Thus in the legend, Renu Nakhon is devoid of men. The district’s nickname is ‘widow town’. 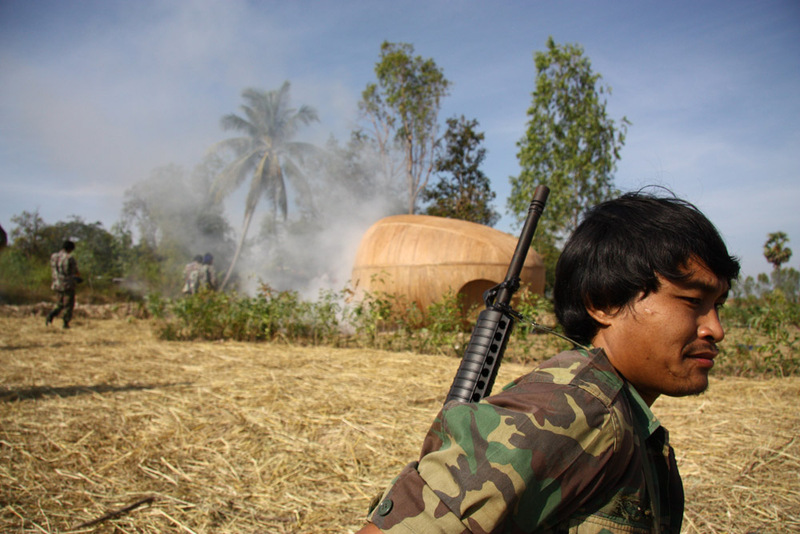 The army’s presence and the abuses continued in the village for two decades. After the temperature of the US and Soviet Union’s cold war had dropped, the government employed a peaceful method of reconciliation with the ‘deflected’. Cash and land were offered in exchange for weapons. The Communist Party of Thailand withered away and became bistory. Until today, the government has downplayed the violence that took place in various villages around the country. The public forgets. The dead are forgotten. The young generation doesn’t recognize me existence of Nabua. The story of Nabua undeniably has echoes of the current political turmoil in Thailand. Institutions involved in those events of the past, along with new ones, are the key players in the ongoing chaos. Just as in the past, they manipulate the public psyche, instilling it with faith and fear. l was in Nabua around September, 2008. Two teens accormpanied us and showed us around. We went into the fields where the first gunfight broke aut that fateful August, 43 years ago. One of the dead was cormrade Satian Jittarnaat. (I later recognized that many of the teens in my videos have this same last name, Jittamaat). His sister told us that the soldiers had been looking for him. They raided her house and bad her drink water from a large bucket in which were submerged guns, bullets, and grenades. It was ‘oath water’ to ensure tbat the villagers didn’t lie to the officials. Otherwise, they threatened, you will die at the hands of these arms. When the dogs barked at night, the soldiers rushed to your house to see if there was a communist visiting. She was so terrified of the soldiers that she had all her dogs killed. She recounted that her brother had fled into the jungle a few months before be got killed, like a dog. 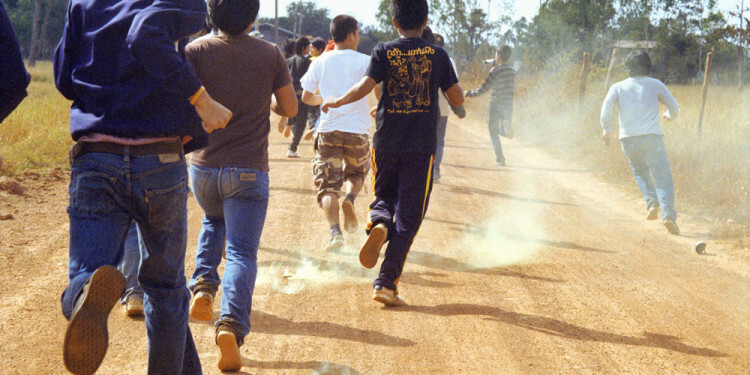 When his group were surrounded by soldiers, they fled. But when comrade Satian came back to get his radio, he was shot in the leg and later killed. Everywhere we went there were stories. Helicopter shot down here, friends shot there, beheadings happened bere. Gradually, just standing in this quiet land became an intense experience for me. Perhaps too intense, for I doubted I was in the right place. With a feeling of uneasiness I kept revisiting Nabua. Then I noticed that there were more teens appearing. Most of them were doing nothing because harvest rime hadn’t arrived. So we had plenty of time to chat. Many of them dreamt of going to work as labourers in Bangkok, Phuket, or Korea. All of them were heavy drinkers. They were obviously interested in the process of filmmaking. I was fascinated by their fashionable haircuts and clothes. It was the look of Thai and Korean pop singers. So I dreamt of producing a Nabua rock band. They dreamt of being actors. For me, the presence of the teens had made Nabua’s air breathable. Soon Primitive became a portrait of the teenage male descendants of the farmer communists, freed from the widow ghost’s empire. In all, I had spent five months there with two months of shooting the teens’ activities. The initial idea of the artworks had branched out and mutated into various forms. They are the manifestation of someone who has created various fictional scenarios in order to implant memory into a place. As if possessed, I had created video vignettes with no goal. As harvest time arrived, the teens were working their rice fields, and I was cultivating my movies. And we built a spaceship. I always dreamed of making a movie with a spaceship. When could there be a better time to do so than now in Thailand? And somehow Nabua is a perfect place for this vehicle to land and to introduce the idea of a journey. The spaceship’s form was sketched out by one of the teens and its metal skeletons were welded together by their elders, their fathers. Soon some of the teens used the spaceship as a place to get drunk at night. They decorated the interior of the ship with little coloured lights. While it has become their second bedroom, the elders want to use it to store rice. I use it as a movie prop. Then there are two music videos. One is the result of bringing a pop singer friend to Nabua. The video cameras were handed out to the teens to film their friends running. Together we celebrated the act of running and throwing things – in tune with the political upheaval and events nationwide. The other music video I made for a song composed by one of the teens called Petch. One evening he sang a not-yet entitled tune about Nabua to me. He strummed on his guitar and sang, “grab your gun and fight.” It is a song written co commemorate the first gun battle. With his song, I combined an image of Petch’s friend, Kumgieng, whose grandfather was killed by the soldiers in the field nor far from his home. I had become a player in the young man’s propaganda machine. All roads lead to Isan. that our children have learned about. Nabua is a small patch of land. Here we grow rice and farm peacefully. Until we have become legend. It’s time to hear about our heroes and their bravery. Take out your guns and your knives to fight. Seize your gun and stand firm. Uncle … I have been here for a while. I would like to see a movie about your life. So I proposed a project about reincarnation. In my script there is a longan farm surrounded by mountains. But here there are endless plains and rice fìelds. Last week’ I met a man who I thought was your son. But perhaps he was your nephew because he said his father was a policeman who owned hundreds of cows. Judging from the book I have, I don’t think you owned a lot of cows, and you were a teacher, weren’t your The man was old and couldn’t remember his father’s name very well. It might be Boonmee or Boouma. It was a long time ago, he said. Here in Nabua there are several houses that I think are suitable for this short film for which I got funding from England. I don’t ‘t kn0w what your house looked like. I cannot use the one in my script because it is so different from the ones here. Maybe some parts of these houses resemble yours. What was your view like? Was it like this? Soldiers once occupied this piace. They killed and tortured the villagers until everyone fied into the jungle. Somehow I felt that my letter to Uncle Boonmee was futile. He must have known this place along with other places in the northeast. In my mind, Uncle Boonmee is the northeast. The letter was just just for me, to justify my being here filming. In retrospect, I value the experience and think of it as a performance. Hours of interviews were kept in a box, never opened. The selected few videos are just remnants of a brief encounter. Nabua is only light and memory. There are natural illuminations from the sun and from fire. The lights seep through the doors and windows and burn the dce fields. There are artificial ones like fluorescent tubes and LED lights like dots of recollections. And there are simulated bolts of lightning that destroy the peaceful landscape and unearth the spirits. As in the book A Man Who Can Recall His Past Lives, Primitive is about reincarnation and transformation. I myself had been transformed as well. Primitive is a departure from my previous work in that it is no longer based upon a memory of my lovers, my family. It is a memory of those who live far away. It is also a memory of those who live far away. It is also a memory of those who are no longer alive, channeling their gestures through their offspring. I feel that, despite its casual surface, it is the most political work I have allowed myself to do. In recent years, Thailand has been slowly melting down into political chaos. In my hidden desire l anticipate her collapse. Isn’t it only natural that, once in a while, we destroy ourselves to be able to mutate and be reborn? They call me a guy who can recall his past lives. I remember the light when I was young. Not one light, but many, in different colours. I thought they were some kind of airborne animals. I would chase them and follow them into the jungle. let them tranfer images into my mind. The adults thought I was crazy or was possessed by a ghost. But they didn’t bother .. .
to take me to a hospital, or a shaman. I saw the white orb in the darkness. Non lontano da casa mia, c’è un tempio che si chiama Sang Arun, che significa “la luce dell’alba”. I fantasmi appaiono in certe condizioni, quando non è ancora completamente buio e non è ancora giorno fatto (all’alba e al crepuscolo). Inizialmente i morti non si rendono conto di essere tali. Quando si danno un pizzicotto, provano ancora dolore. Pensano di avere ancora un corpo, ma è solo un’illusione, è tutta una questione mentale. Camminano e parlano normalmente con le persone, ma nessuno li nota, nessuno può vederli o sentirli. Una notte, il monaco vide una luce fluttuante che scendeva dal tetto del tempio. La luce si mise a giocherellare con un gruppo di giovani monaci sbalorditi. Poi attraversò gli alberi fluttuando, volteggiò intorno ai tronchi e tornò a posarsi sul tetto per trasformarsi infine in una sfera di vetro. Il monaco in seguito incastonò questa sfera nel tetto di un nuovo monastero. Questo stesso monaco, che ha una scorta infinita di storie incredibili, mi regalò un libretto intitolato Un uomo che ricorda le sue vite precedenti. Nel libro, raccontava la storia di Boonmee, che veniva a meditare al tempio e ricordava le sue numerose vite. Era stato un cacciatore di elefanti, un bufalo, una mucca e un fantasma vagante. Ciò che trovavo interessante era che fosse sempre rinato e avesse sempre vagato nella stessa regione, il nord-est, dove sono cresciuto. Invidiavo la sua capacità di tornare indietro di secoli con la memoria. Poteva vedere e replicare il suo passato. Non aveva bisogno del cinema. In effetti, nemmeno noi abbiamo bisogno del cinema, se riusciamo ad addestrare la nostra mente a “vedere” come faceva lui. Purtroppo, la maggior parte di noi è troppo rozza, siamo esseri primitivi. In quello stesso periodo, venni ispirato anche da un altro libro, Waiting for the Macaws (In attesa delle are macao) di Terry Glavin. Nel 2007 mi trovavo a Los Angeles dove incontrai Peter Sellars, un’altra specie di monaco, direttore artistico del festival New Crowned Hope che ha prodotto Syndromes and a Century. Mentre ci congedavamo, mi porse questo libro dicendo che forse mi sarebbe piaciuto. Finii di leggerlo sull’aereo diretto a casa e conclusi che mi era davvero piaciuto. Questo libro straordinario è un’inchiesta sulla sparizione, fra l’altro, di specie, lingue e credenze. Esiste un collegamento tra la storia di Boonmee e questo libro sull’estinzione, l’urgente bisogno di ricordare, di tentare di catalogare qualcosa che sta per sparire. Queste due ispirazioni per qualche motivo hanno fatto scattare in me un interesse per la regione nordorientale della Thailandia. Avevo vissuto per quindici anni in una città di nome Khon Kaen al centro della regione, ma non l’avevo mai esplorata tutta. Dubito che siano molti i thailandesi del nordest che lo fanno. Questa terra secca e arida, malgrado sia ricca di storia, è decisamente una destinazione fuori dal mondo. Ricordo di aver visitato vari luoghi d’interesse storico con influenze Khmer, ma niente di più. Molte persone del posto abbandonano queste rovine e si trasferiscono a Bangkok per lavorare come manodopera a basso costo. Una volta in città, sono trattati con sussiego a causa della loro pelle più scura e di un dialetto che ricorda quello dei nostri vicini del Laos, considerati dei sempliciotti. Ero curioso di vedere che cosa era rimasto in questa terra che ospitava lo spirito di Boonmee. Mi misi in viaggio con i miei soliti assistenti e Jenjira, la mia attrice. Per caso, siamo tutti del nord-est e non abitiamo più lì. Era un’occasione, una scusa per visitare di nuovo certi luoghi. Non avevamo un piano prestabilito, a parte cercare di trovare i discendenti di Boonmee e andare a far visita alla famiglia di Jenjira. 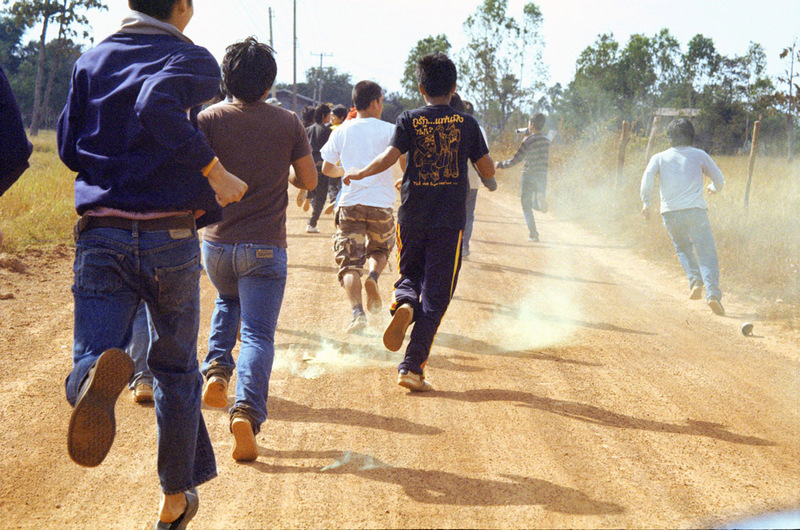 Era passato tanto tempo da quando Boonmee era vivo, perciò le informazioni su di lui erano vaghe. Andammo di città in città senza meta chiedendo agli anziani e ai capi villaggio se conoscevano dei suoi parenti. Scoprimmo che persone con lo stesso cognome di Boonmee si trovavano in diversi luoghi nel nord-est. Nel corso della ricerca, ci imbattemmo in alcuni casi di reincarnazione. Uno di questi riguardava una giovane donna che ricordava la sua vita precedente con le sembianze di un ragazzo in un altro villaggio. Andò a far visita alla famiglia del ragazzo morto e raccontò storie private della famiglia fin nei dettagli, tra lo stupore dei genitori. Ben presto si creò una rivalità tra i genitori della sua vita passata e quelli della vita presente, ciascuno di loro voleva infatti essere amato dal figlio, o figlia che fosse, e dargli tutto il suo amore. Questo incidente mette in luce la complicazione di ricordare troppo. Se tutti noi ricordassimo le nostre vite precedenti, magari saremmo continuamente in viaggio per andare a trovare e salutare i nostri numerosi amici e genitori del passato ovunque si trovino, umani e animali. Certe persone potrebbero cercare di vendicarsi su coloro che le hanno uccise o fatte soffrire in passato. O può darsi che, al contrario, si comprenderebbe meglio la natura umana, si comprenderebbe meglio perché amiamo e perché uccidiamo. Mentre ci avvicinavamo al fiume Mekong in prossimità del confine tra Thailandia e Laos, ci ritrovammo in un’area allagata. Le strade e le case erano inondate. Sul muro della casa di Jenjira c’era una traccia dell’acqua che si era appena ritirata. Suo padre era appena sceso dal secondo piano, dove era rimasto intrappolato per una settimana. Lo intervistai e venni trasportato indietro nel tempo, quando quest’area era più che altro giungla. Mi parlò degli anni Sessanta, quando era un funzionario dello stato con il compito di tenere a freno il comunismo. Era la prima volta nel corso del nostro viaggio che veniva pronunciata questa parola. Il padre di Jenjira era solito andare in Land Rover con i suoi colleghi di villaggio in villaggio e mostrare agli abitanti film di propaganda in 16 mm. Per contrastare il comunismo, facevano del loro meglio per stringere amicizia con gli abitanti del posto e intanto ne approfittavano per spiegare loro la virtù dei tre pilastri della Thailandia: Nazione, Religione e Monarchia. La sua storia mi fece venire in mente i miei genitori. In quel periodo, il governo inviò frotte di medici a prendersi cura degli abitanti di aree remote del paese. Il programma era lo stesso: far sentire agli abitanti dei villaggi che il “centro” si interessava a loro. I miei genitori mi hanno raccontato quanto erano emozionati quando erano saliti su un elicottero. 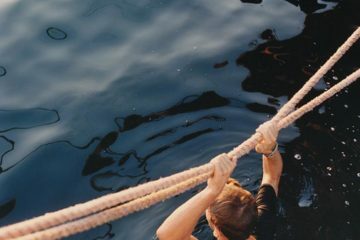 In un certo senso, compiere delle buone azioni li rendeva felici. Mia madre si divertiva ad acquistare la stupenda seta che gli abitanti dei villaggi mettevano in vendita. Il comunismo conveniva a tutti. In auto, Jenjira mi raccontò un episodio che accadde quando frequentava le scuole superiori. Un giorno, i soldati fecero una visita inattesa a casa sua: misero sottosopra scaffali e armadietti in cerca di qualunque cosa di colore rosso. Era un colore proibito che portava guai. Anche un album da disegno con una copertina rossa sarebbe stato confiscato e distrutto. Dopo che i soldati se ne furono andati, suo padre la prese da una parte e le disse che aveva trovato i suoi libri rossi e li aveva bruciati. Jenjira si scusò e disse che le erano stati passati dai suoi compagni di scuola e che lei non li aveva letti. Alcune settimane fa, Jenjira mi ha telefonato e con grande commozione mi ha detto: “Ho trovato i libri! Ho trovato i libri!” È andata a finire che, dopo tutti questi anni, suo padre aveva conservato la sua collezione di libri di Mao e Marx. Mi riferì che al momento era sola con questi libri e si occupava della casa mentre il padre era in ospedale per alcuni giorni, in attesa, insieme ad altri abitanti del villaggio, del suo turno per subire un intervento cardiaco. Il medico di questo ospedale di città è talmente impegnato che potrebbero passare settimane prima che arrivi il suo turno, mi informò. Ci sono stati giorni migliori, quando il “centro” almeno fingeva di interessarsi. Procedemmo in auto lungo il fiume Mekong, dove le città erano parzialmente devastate dall’alluvione. Le notizie politiche da Bangkok erano a tutto volume e sovrastavano le cronache delle insignificanti città sommerse. Continuavamo a fermarci lungo la strada, in parte alla ricerca di segni della presenza dello Zio Boonmee. Non riuscivo a smettere di chiedermi perché aveva scelto di restare in questa terra orribile. No, il paesaggio è incantevole, ma il modo in cui viene trattata la sua gente è brutalmente orribile. Tra i vari villaggi che visitammo, non lontano dal fiume Mekong, ce n’era uno chiamato Nabua. Questo tranquillo villaggio nella provincia di Nakhon Panom era stato uno dei luoghi occupati dall’esercito thailandese dagli anni Sessanta fino all’inizio degli anni Ottanta per tenere sotto controllo i ribelli comunisti. Qui non c’erano legami con Boonmee, a parte il fatto che anche il villaggio è pieno di ricordi repressi. Si trattava di un luogo che non riuscivo a togliermi di mente dopo aver proseguito e aver raggiunto altri villaggi. Mi faceva lo stesso effetto che mi avevano fatto i due libri. Alcune settimane dopo, mi ritrovai di nuovo a Nabua. Decisi di lavorare lì, di indagare sulla sua storia e di documentarne il paesaggio. È un luogo in cui ricordi e ideologie sono estinti. È diventato il centro della prima parte del progetto Primitive. Negli anni Sessanta, i soldati costruirono una base a Nabua per amministrare le attività quotidiane degli abitanti del villaggio. I locali erano vittime di violenze fisiche e psicologiche con la motivazione che si rifiutavano di fornire informazioni. Le donne venivano stuprate. Alcuni venivano uccisi nelle loro case. Di conseguenza, gli abitanti del villaggio, per lo più contadini, fuggirono nella giungla. La maggior parte di loro non capiva neppure la parola “comunismo” malgrado fossero accusati di essere comunisti. La mattina del 7 agosto 1965, Nabua divenne noto a livello nazionale quando nelle risaie scoppiò il primo conflitto armato tra i contadini comunisti e il governo totalitario, a cui seguì l’occupazione e il duro controllo militare di Nabua. Le torture si intensificarono e la paura dilagava. Altre persone fuggirono nella giungla. Il cielo notturno era illuminato dai bengala dei soldati. Nel villaggio restarono soprattutto donne e bambini. Per ironia della sorte, Nabua è situato nel distretto di Renu Nakhon, dove secondo un’antica leggenda il fantasma di una vedova rapisce tutti gli uomini che entrano nel suo impero per condurli in una terra invisibile dove si uniranno agli altri mariti. Dato che nella leggenda Renu Nakhon è senza uomini, da qui il soprannome di “città vedova”. La presenza dell’esercito e le violenze nel villaggio continuarono per vent’anni. Con la fine della guerra fredda tra Stati Uniti e Unione Sovietica, il governo adottò un metodo pacifico di riconciliazione con i “deviati”. Venne offerto loro denaro e terra in cambio della armi. Il Partito Comunista Thailandese si indebolì fino a sparire dalla scena politica. Sinora il governo ha minimizzato la violenza perpetrata in vari villaggi in tutto il paese. L’opinione pubblica dimentica. I morti vengono dimenticati. Le giovani generazioni non sanno dell’esistenza di Nabua. Nella storia di Nabua sono certamente presenti le avvisaglie degli attuali disordini politici in Thailandia. Le istituzioni coinvolte in questi eventi del passato, come in quelli nuovi, svolgono un ruolo fondamentale nella caotica situazione politica in corso: proprio come in passato, manipolano la psiche collettiva sfruttando la fede e alimentando la paura. Mi trovai a Nabua nel settembre del 2008. Due adolescenti ci accompagnarono in giro per il villaggio. Andammo nei campi, dove scoppiò il primo scontro a fuoco in quel fatidico agosto di 43 anni fa. Uno dei morti era il compagno Satian Jittamaat. (In seguito mi resi conto che molti dei ragazzi nei miei video hanno lo stesso cognome, Jittamaat). Sua sorella ci disse che i soldati lo avevano cercato, avevano fatto irruzione in casa sua e le avevano fatto bere dell’acqua da un grande secchio in cui erano stati immersi fucili, pallottole e granate. Era “l’acqua del giuramento” per assicurarsi che gli abitanti del villaggio non mentissero agli ufficiali. Se avessero mentito, sarebbero stati uccisi con quelle stesse armi, questa era la minaccia. Quando i cani abbaiavano di notte, i soldati si precipitavano a casa sua per vedere se c’era un comunista in visita. La donna aveva talmente paura dei soldati che fece uccidere tutti i suoi cani. Raccontò che suo fratello era fuggito nella giungla alcuni mesi prima di essere ucciso, come un cane. Quando il suo gruppo era stato circondato dai soldati, fuggirono tutti. Ma quando il compagno Satian tornò a riprendersi la radio, i soldati gli spararono a una gamba e più tardi lo uccisero. Ovunque andassimo, c’erano storie di questo genere: qui è stato abbattuto un elicottero, lì sono stati uccisi degli amici, qui sono state decapitate delle persone. Un po’ alla volta, il solo fatto di trovarmi in questa terra silenziosa per me diventò un’esperienza intensa. Forse troppo intensa, infatti dubitavo di essere nel posto giusto. Con un senso di disagio, continuai a tornare di nuovo a Nabua. Notai così che si facevano avanti altri ragazzi. La maggior parte di loro non aveva niente da fare perché non era ancora il periodo del raccolto, quindi avevamo tutto il tempo per chiacchierare. Molti di loro sognavano di andare a fare i manovali a Bangkok, a Phuket o in Corea. Erano tutti quanti forti bevitori ed erano palesemente interessati al processo di realizzazione del film. Io ero affascinato dai loro tagli di capelli e dal loro abbigliamento alla moda. Era il look delle popstar thailandesi e coreane. Ho sognato di produrre una rock band di Nabua. E loro hanno sognato di diventare attori! Per me, la presenza dei ragazzi aveva reso l’aria di Nabua respirabile. Così Primitive ben presto è diventato il ritratto di una generazione di adolescenti che discendono da contadini comunisti, affrancati dall’impero del fantasma della vedova. In tutto, ho trascorso nel villaggio cinque mesi, due dei quali a riprendere le attività dei ragazzi. L’idea iniziale dell’opera si è ramificata e ha assunto varie forme, sono la manifestazione di una persona che ha creato vari scenari immaginari per inculcare il ricordo in un luogo. Come in preda a un raptus, ho creato dei videoclip senza uno scopo. Con l’arrivo del periodo del raccolto, i ragazzi lavoravano nelle loro risaie mentre io coltivavo i miei film. E poi abbiamo costruito un’astronave. Ho sempre sognato di fare un film con un’astronave. Quando avrebbe potuto esserci un momento migliore per farlo se non in quel momento, in Thailandia? E in un certo senso, Nabua è un luogo ideale per far atterrare questo veicolo e introdurre l’idea di un viaggio. La forma dell’astronave è stata abbozzata da uno dei ragazzi e le sue strutture di metallo sono state saldate insieme da uomini più grandi di loro, dai loro padri. Ben presto alcuni ragazzi hanno iniziato a usare l’astronave come luogo dove andare a ubriacarsi di sera. Hanno decorato gli interni con delle lucine colorate. Per loro è diventata una seconda camera da letto, ma gli adulti la vogliono utilizzare come magazzino per il riso, io la uso come materiale di scena. Ci sono poi due video musicali. Uno è dovuto al fatto di aver portato a Nabua una band di musica pop. Le videocamere sono state lasciate ai ragazzi per filmare i loro amici che corrono. Abbiamo celebrato insieme l’atto di correre e di lanciare oggetti, in sintonia con le tensioni e gli eventi politici a livello nazionale. Ho realizzato l’altro video musicale per una canzone composta da uno dei ragazzi di nome Petch. Una sera, mi ha cantato una canzone su Nabua che non aveva ancora un titolo. Strimpellava la chitarra e cantava: “Prendi il fucile e combatti.” Si tratta di una canzone scritta per commemorare il primo scontro a fuoco. Alla sua canzone, ho associato un’immagine dell’amico di Petch, Kumgieng, che ha un nonno ucciso dai soldati nel campo non lontano da casa sua. Sono diventato un interprete nella macchina propagandistica di questo giovane. Tutte le strade conducono a Isan. di cui i nostri figli sono venuti a conoscenza. Nabua è un piccolo pezzo di terra. Qui coltiviamo il riso e lavoriamo la terra in pace. Con onestà, dedizione e pazienza. Finché non siamo entrati nella leggenda. È il momento di sentir parlare dei nostri eroi e del loro coraggio. Tira fuori i fucili e i coltelli per combattere. Prendi il fucile e non cedere. Zio… Sono qui da qualche tempo. Vorrei vedere un film sulla tua vita, quindi ho proposto un progetto sulla reincarnazione. Nella mia sceneggiatura c’è una fattoria di longan circondata dalle montagne, ma qui ci sono risaie e pianure sconfinate. La settimana scorsa ho incontrato un uomo che credevo fosse tuo figlio, ma forse era tuo nipote perché ha detto che suo padre era un poliziotto che possedeva centinaia di mucche. A giudicare dal libro che ho io, non credo che tu possedessi tante mucche e poi tu eri un insegnante, no? Quell’uomo era anziano e non riusciva a ricordare bene il nome di suo padre. Forse si chiamava Boonmee o Boonma. È stato tanto tempo fa, ha detto. Qui a Nabua ci sono diverse case che mi sembrano adatte a questo cortometraggio che mi hanno finanziato in Inghilterra. Non so che aspetto avesse casa tua. Non posso usare quella nella mia sceneggiatura perché è talmente diversa dalle case qui in zona, ma forse queste case in parte assomigliano alla tua. Com’era il panorama che vedevi tu? Era come questo? finché tutti non sono fuggiti nella giungla. Per qualche motivo avevo l’impressione che la mia lettera per lo Zio Boonmee fosse futile. Deve aver conosciuto questo posto, insieme ad altri luoghi nel nord-est. Nella mia mente, lo Zio Boonmee è il nord-est. La lettera era solo per me, per giustificare la mia presenza qui, la realizzazione del film. In retrospettiva, considero preziosa questa esperienza e la ritengo una performance. Ore di interviste sono state conservate in una scatola, mai aperta. I pochi video selezionati sono solo sprazzi di un breve incontro. Nabua è soltanto luce e ricordo. Ci sono fonti di luce naturali dal sole e dal fuoco. Le luci filtrano da porte e finestre e arrossano le risaie. Ci sono luci artificiali come tubi fluorescenti e luci LED come puntini di ricordi. E ci sono fulmini simulati che squarciano la serenità del paesaggio e portano in superficie lo spirito. Come nel libro Un uomo che ricorda le sue vite precedenti, Primitive affronta il tema della reincarnazione e della trasformazione. Io stesso ero stato trasformato. Primitive rappresenta un punto di rottura rispetto alle mie creazioni artistiche precedenti in quanto non si basa più su un ricordo dei miei amori o della mia famiglia. È un ricordo di chi vive lontano, ma è anche un ricordo di chi non è più tra noi e trasmette i suoi gesti attraverso i suoi discendenti. Ho l’impressione che, nonostante l’apparenza superficiale, sia l’opera più politica che mi sia mai permesso di creare. Negli ultimi anni, la Thailandia si è lentamente dissolta nel caos politico. Segretamente, io mi aspetto il suo tracollo. Non è forse solo naturale che, una volta ogni tanto, distruggiamo noi stessi per mutare e rinascere? Mi chiamano quello che ricorda le sue vite passate. Ricordo la luce quando ero giovane. Non una luce sola, ma tante luci, in colori diversi. Pensavo che si trattasse di animali in volo. Io li rincorrevo e li seguivo nella giungla. lasciavo che trasferissero immagini alla mia mente. Gli adulti credevano che fossi pazzo o posseduto da un fantasma. di portarmi in un ospedale o da uno sciamano. Vedevo la sfera bianca nell’oscurità. A total immersion in the evocative, visionary dream world of one of the top names in contemporary cinema and art Apichatpong Weerasethakul, the Thai artist and film director whose films and installations have caught the attention of critics and the media around the world, will be bringing Primitive to HangarBicocca in Milan, from 7 March to 28 April 2013. On display for the first time in Italy, the installation is a new version specially created for the premises in Via Chiese 2. Curated by Andrea Lissoni and made possible by the support of Pirelli, the project leads the visitor into a world of cinema and sound, documentary-interviews and music clips, with a mix of artistic genres and languages that create a truly choral work. 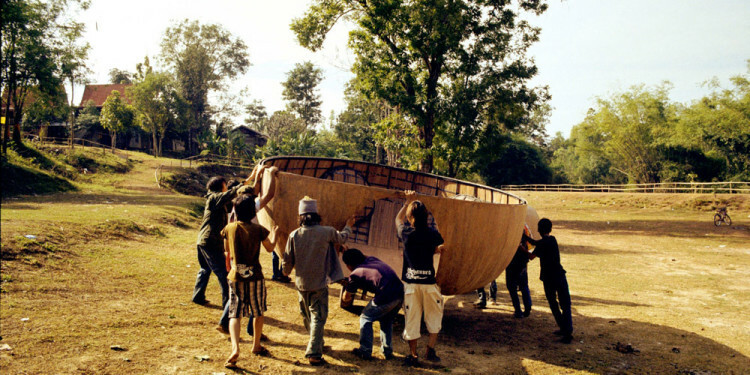 The work focuses on the young inhabitants of Nabua, a village in northern Thailand, who are seen in their everyday lives and and in their project to build a spaceship. This becomes a symbolic means for imagining a different future, but also a place for coming together and escaping from reality. A contemporary tale in which we find biographical elements and reflections on history, youth culture and spirituality, with dreamlike atmospheres and social criticism, Primitive is also a reflection on the cinema and on how it is transforming our way of seeing. It does so by simultaneously juxtaposing a number of visions, in ways that may be contemplative or distracted, immersive or fleeting, intimate or shared. In almost total darkness, the installation is permeated by a magical, mysterious atmosphere which shifts between the opposites of light and dark, silence and noise, love of life and the burden of memory. It starts with a radiant image of boys running and continues amid lights and flashes, silences and sudden noises, ending in a night-time scene in the deserted village rent by flashes of lightning and inhabited by enigmatic apparitions. 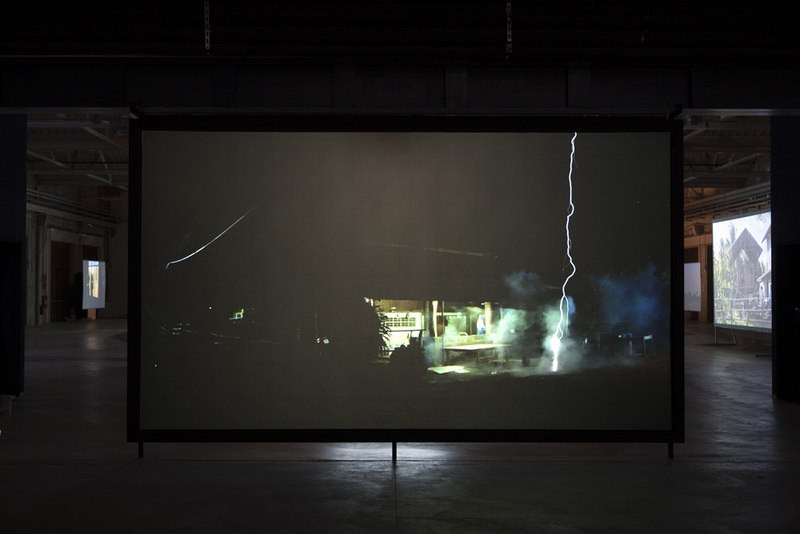 Apichatpong Weerasethakul – winner of the Palme d’Or at the 2010 Cannes Film Festival (with the film Uncle Boonmee Who Can Recall his Past Lives) and invited at last year’s Documenta – is considered in the worlds of cinema and of art to be one of the most influential artists of the past decade. 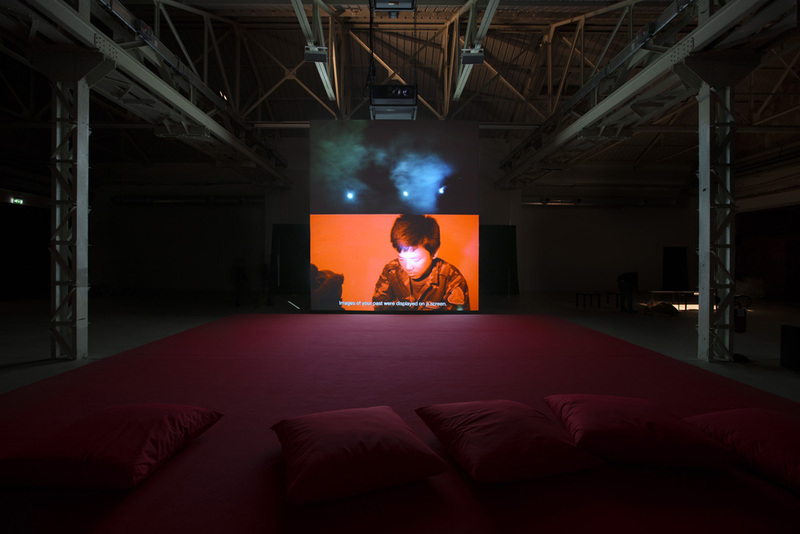 He is acclaimed for his ability to combine different formats, dimensions, and visual and sound sources in space, creating a new vision of moving images. 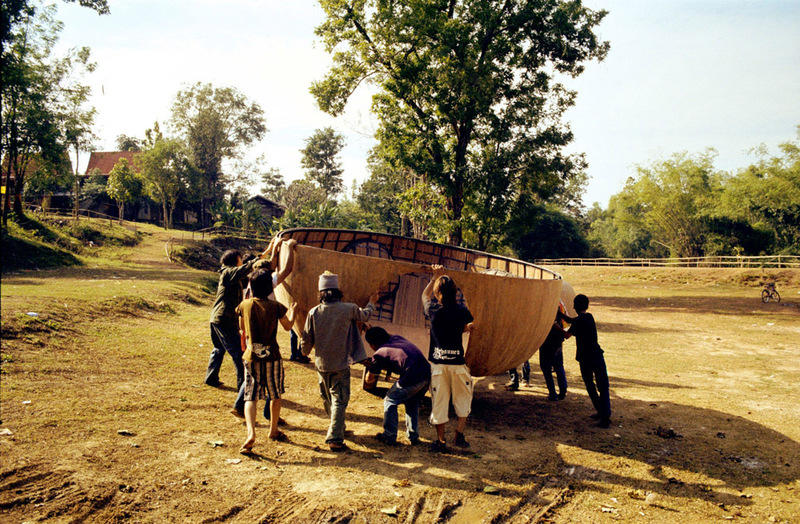 Primitive started out as a collaborative project with the young people of Nabua, a village in the north of Thailand which was occupied by the Thai army from the 1960s to the 1980s. A rebellion by farmers in 1965 gave rise to a long, bloody battle followed by years of violence, which led to the men escaping and leaving the village inhabited solely by women and children. The director shared moments of everyday life with the young people who now inhabit the village, living and working with them. These children and grandchildren of the original rebels create a work of art in which their vitality and energy come together with the artist’s narrative language. 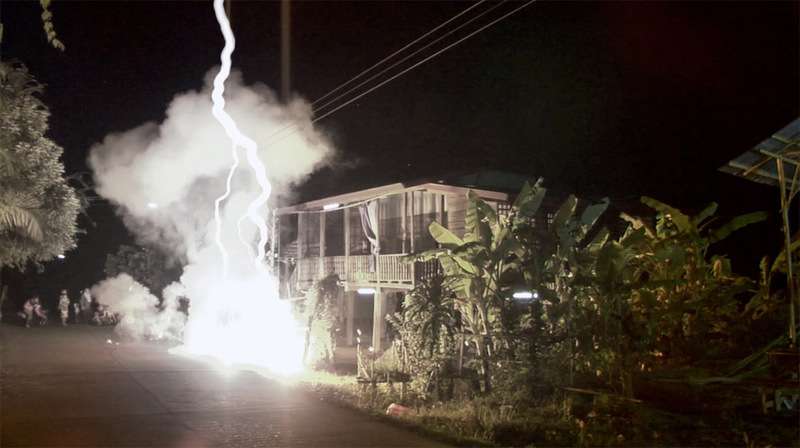 Apichatpong Weerasethakul, whose artistic mission coincides almost entirely with his life choices, spends months on end looking for stories for his films, exploring places in his homeland that express collective and personal memory. Living and working for long periods with those who then become the main characters in his films, the artist draws inspiration from events in the lives of those he meets, interlacing them with his own visions and thereby creating a fragmentary, visionary narrative that is the hallmark of his art. “The presence of the kids has made the air in Nabua breathable,” he says. “Primitive has thus become the portrait of a generation of adolescents who are the descendants of Communist peasants. I was fascinated by the cut of their hair and by their fashionable clothes. It was the look of Thai and Korean pop stars. [While preparing Primitive] I dreamt of producing a Nabua rock band. 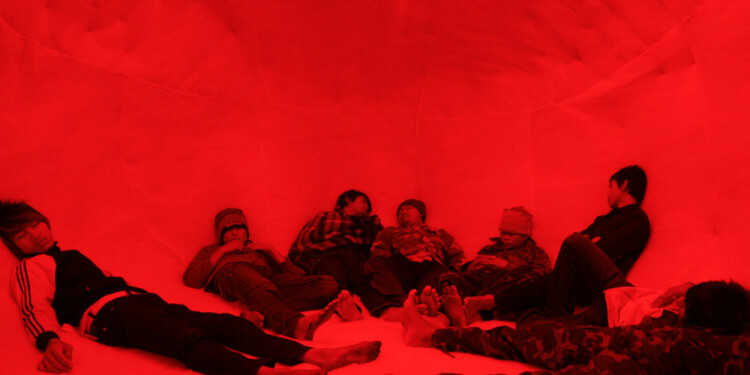 And they dreamt of becoming actors!” says the artist (from Apichatpong Weerasethakul, ed. James Quandt. 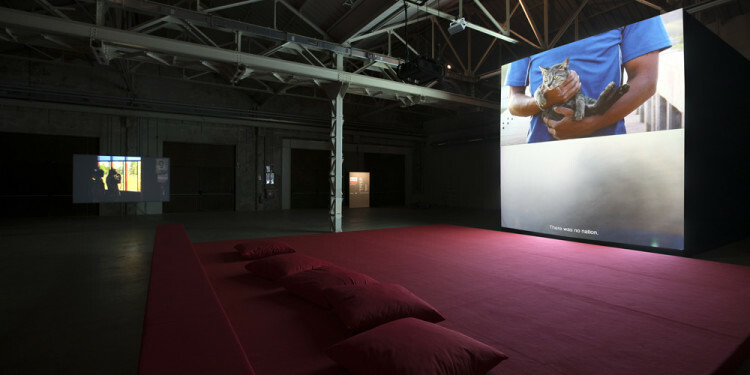 Filmmuseum Synema, 2009). Primitive is a universal portrait of a generation of young people who may have lost their sense of history but who have certainly lost none of the energy and hope they need to imagine a better future. 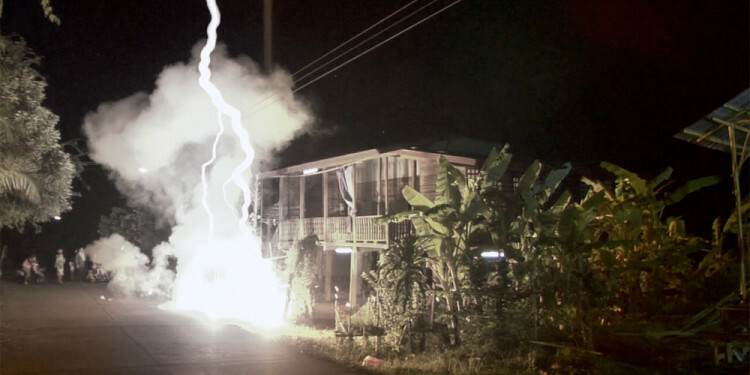 Using a powerful artistic language that combines different processes and codes, breaking down the boundaries between art and cinema, Apichatpong Weerasethakul reasserts the origins and identity of a forgotten place and of a neglected people, projecting them into the future with the power of eternally incorruptible sentiments such as friendship, community and a desire for escapism. 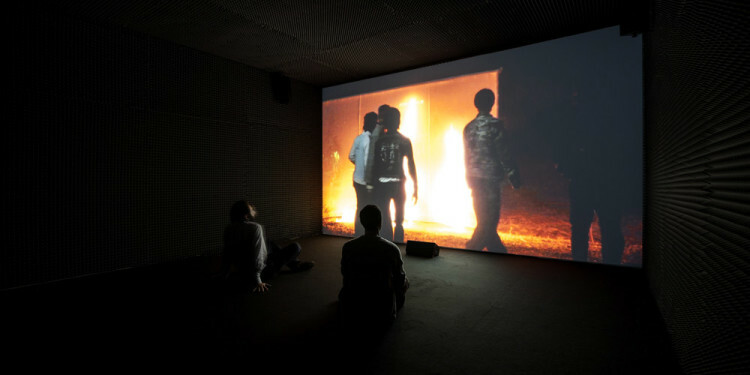 Real events are drawn into the legend, fable and tale, and in this sense Apichatpong Weerasethakul’s work offers a new paradigm in both the field of cinema and in that of art, showing how subtle and ambiguous the borderlines between events, memory and reconstruction can be, and how they are always influenced by the eye of the narrator. Primitive was commissioned by the Haus der Kunst, Munich, with FACT (Foundation for Art and Creative Technology), Liverpool, and Animate Projects, London. 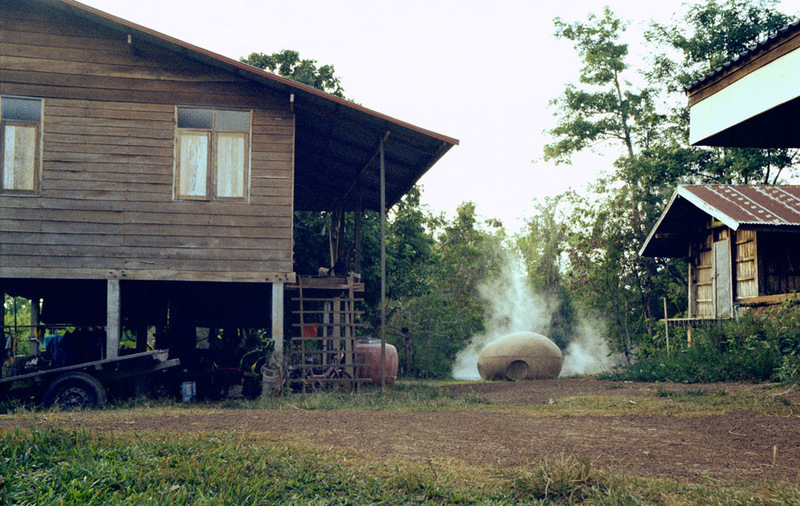 Produced by Illuminations Films, London and by Apichatpong’s production company Kick the Machine Films, Bangkok. 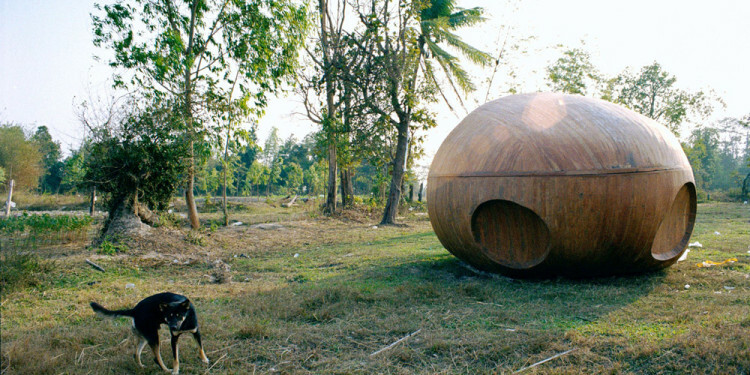 Apichatpong Weerasethakul was born in 1970 in Bangkok and grew up in Khon Kaen, in the north of Thailand. He graduated in Architecture and specialised in filmmaking at the Art Institute of Chicago. He is the film director who has had the greatest influence on the youngest generation of independent moviemakers and visual artists working with video and film, and he has been honoured with numerous awards, including the Palme d’Or at Cannes in 2010 and the Jury Prize at the same festival in 2004 for Tropical Malady. In 2010 his Syndromes and a Century was named Best Film of the Decade at the celebrated The Best of the Decade: An Alternative View awards organised by the Cinematheque of the Toronto International Film Festival, winning against such directors as Abbas Kiarostami, Ingmar Bergman and Jean-Luc Godard. 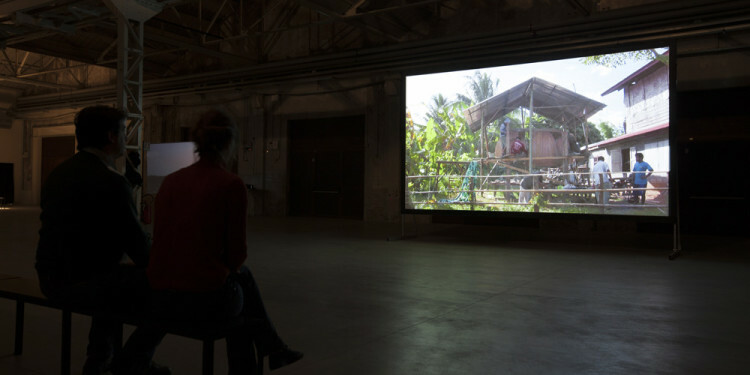 In the world of art, he became the first artist to receive the Fine Prize from the 55th Carnegie International, USA, and his work was shown at Documenta in Kassel in 2012. His works have been exhibited in leading museums around the world, including the New Museum in New York and the Musée d’Art Moderne de la Ville de Paris. Tate Modern in London has acquired one of his works for its collection. 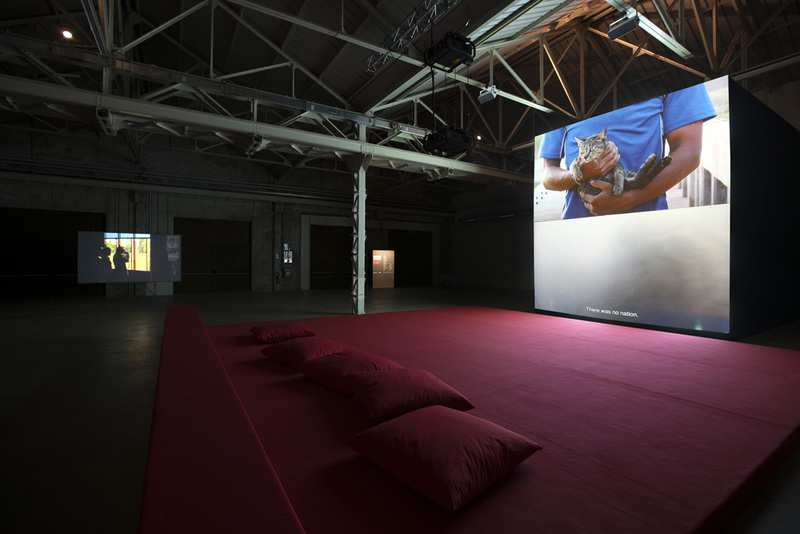 The programme of free exhibitions and activities at HangarBicocca would not be possible without the support of Pirelli, which ensures the international quality of the events and makes it possible to produce installations designed and created on site: a contribution that makes this institution a veritable conceptual hothouse, in which the processes of research and innovation are a clear reflection of those of the company. 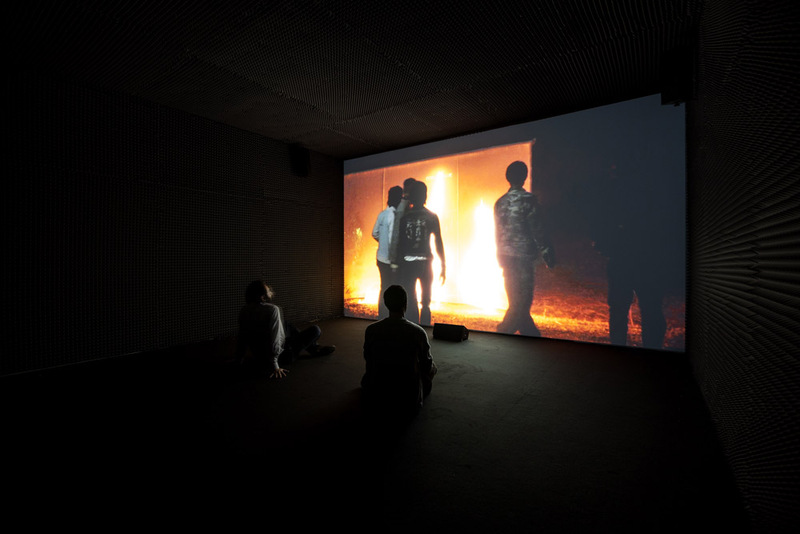 Dal 7 marzo al 28 aprile 2013 Apichatpong Weerasethakul (Bangkok 1970), artista e regista thailandese tra i più influenti della sua generazione, porta in HangarBicocca Primitive, una mostra inedita in Italia presentata in una nuova versione appositamente concepita per lo spazio milanese voluto da Pirelli. Il progetto, curato da Andrea Lissoni, consiste in un percorso tra cinema e suono, interviste documentario e clip musicali, in un mix di generi artistici e linguaggi che dà luogo a un’opera corale in cui coesistono differenti modalità di visione: contemplativa e distratta, immersiva e fugace, intima e condivisa. Protagonisti del racconto, che si snoda attraverso otto video, un’installazione che raccoglie due proiezioni e il libro d’artista Cujo, sono i giovani abitanti di Nabua, un villaggio nel nord della Thailandia, ripresi nella vita quotidiana e nel progetto di costruzione di un’astronave che diventa strumento simbolico per immaginare un futuro diverso ma anche luogo di ritrovo e di fuga dalla realtà. Narrazione contemporanea in cui si incontrano elementi biografici e riflessione storica, cultura giovanile e spiritualità, atmosfere oniriche e critica sociale, Primitive è anche un’occasione per interrogarsi sull’attuale condizione di fruizione delle immagini nell’epoca dell’apparente sparizione delle sale cinematografiche e della diffusione dei film in rete. Allestita in un buio quasi totale, l’installazione è pervasa da un’atmosfera magica e misteriosa che si snoda tra i poli opposti di luce e ombra, silenzio e rumore, gioia di vivere e peso della memoria: il percorso, che inizia con una solare immagine di ragazzi in corsa, si sviluppa tra luci e bagliori, silenzi e suoni improvvisi, per poi concludersi con una scena notturna nel villaggio spopolato, squarciato da fulmini improvvisi e abitato da enigmatiche apparizioni. 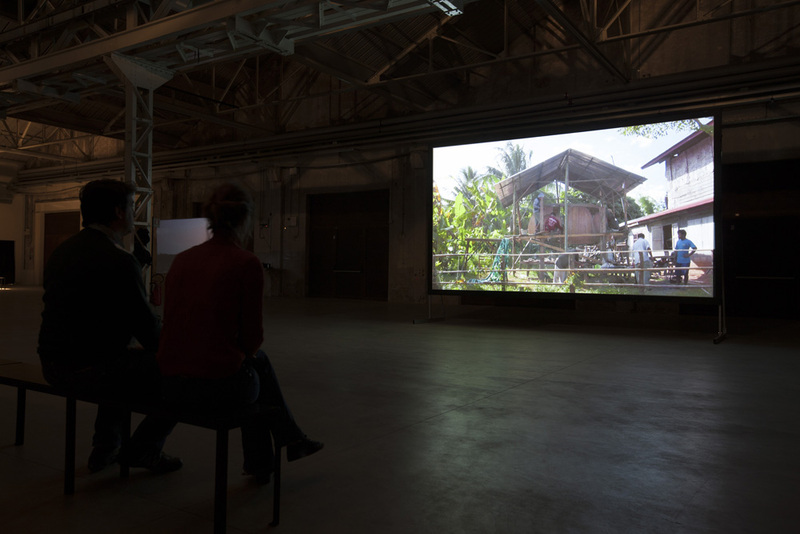 La mostra è accompagnata da Mysterious Objects – Una notte con i film di Apichatpong Weerasethakul, un evento di HB Public che Pirelli dedica alla città: dal 22 al 23 marzo HangarBicocca rimane “acceso” dalla sera alla mattina, trasformando il quartiere in un punto di attrazione per tutti coloro che amano il cinema ma anche in un luogo in cui incontrarsi, confrontarsi e vivere l’esperienza dell’arte e della cultura in modo inusuale e collettivo. Per la prima volta tutta la produzione del grande regista e artista thailandese verrà proposta in versione originale con sottotitoli in italiano e proiettata nei formati originali grazie alla presenza di una sala cinematografica con proiettore a 35 mm nei grandi spazi di HangarBicocca: un viaggio notturno attraverso i film di Weerasethakul, definiti dalla critica “oggetti misteriosi”, proprio per l’impossibilità di ricondurli a un genere precostituito. 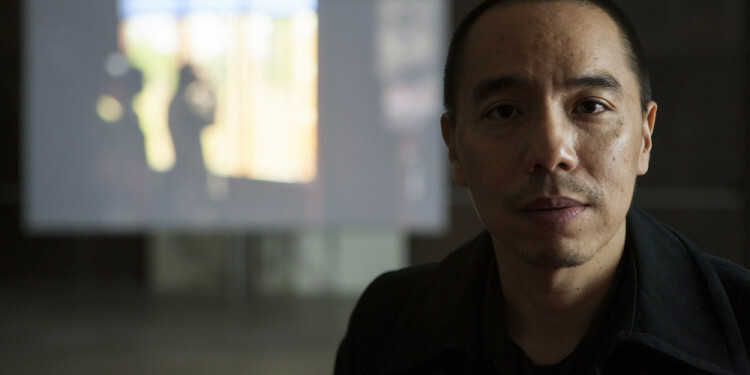 Apichatpong Weerasethakul, invitato come artista all’ultima edizione di documenta a Kassel e vincitore con il suo lavoro di regista per ben due volte a Cannes (Premio della critica nel 2004 e Palma d’Oro nel 2010), è considerato sia in ambito cinematografico sia artistico uno degli autori più importanti dell’ultimo decennio, grazie alla sua capacità di integrare nello spazio formati, dimensioni, fonti visive e sonore diverse, costruendo nuove forme di visione delle immagini in movimento. Primitive nasce come un progetto con i giovani abitanti di Nabua, villaggio nel Nord della Thailandia, che fu messo sotto assedio, dagli anni ‘60 agli anni ‘80, dall’esercito thailandese. Nel 1965 una ribellione degli agricoltori diede luogo a una cruenta battaglia a cui seguirono lunghi anni di violenze che portarono alla fuga degli uomini, lasciando il villaggio abitato solo dalle donne e dai bambini. Gli adolescenti del luogo, figli e nipoti dei ribelli di un tempo, con i quali il regista ha vissuto, lavorato, condiviso momenti della giornata, danno vita a un’opera d’arte partecipata dove la vitalità e l’energia dei ragazzi si fondono con il linguaggio narrativo dell’artista. 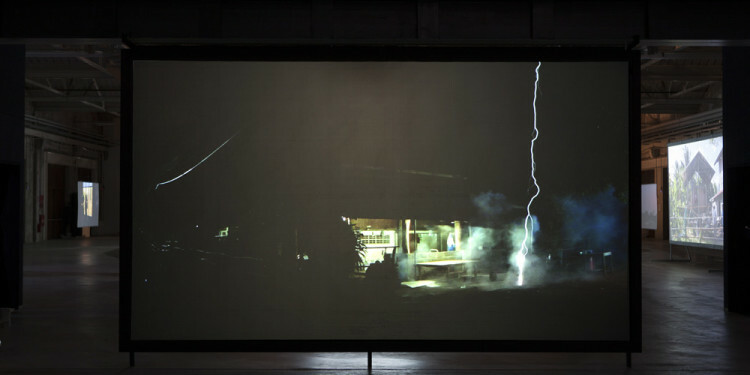 Apichatpong Weerasethakul, il cui progetto artistico coincide quasi totalmente con le proprie scelte di vita, trascorre lunghi periodi alla ricerca delle storie per i suoi film, esplorando i luoghi del suo Paese legati alla memoria collettiva e quella personale. Lavorando e vivendo per lunghi periodi con coloro che poi diventano i protagonisti delle sue opere, l’artista prende spunto dalle vicende di vita delle persone incontrate, intrecciandole con le proprie visioni in un racconto frammentato e visionario che è la cifra artistica delle sue opere. “La presenza dei ragazzi ha reso l’aria di Nabua respirabile” racconta. “Così Primitive è diventato il ritratto di una generazione di adolescenti discendenti da contadini comunisti. Ero affascinato dai loro tagli di capelli, dal loro abbigliamento alla moda. Era il look delle popstar thailandesi e coreane. Primitive – oltre le vicende storiche e biografiche a cui è legato – è un ritratto universale di una generazione di giovani che forse ha perso il senso della storia ma non l’energia e la speranza necessarie per immaginare un futuro migliore. 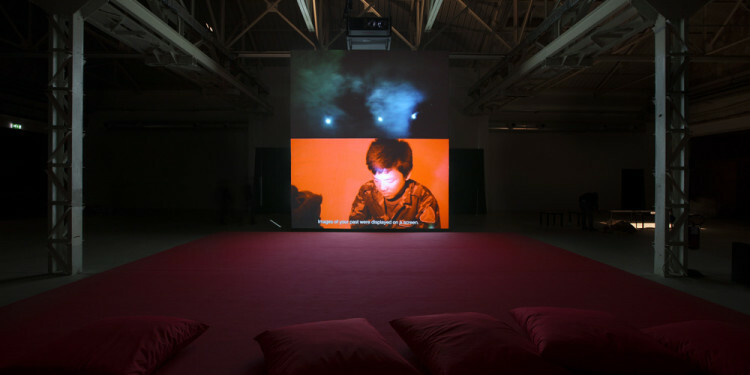 Con un linguaggio dirompente che fonde modalità e codici produttivi e travalica le frontiere dell’arte e del cinema, Apichatpong Weerasethakul riafferma le origini e l’identità di un luogo dimenticato e di una popolazione negletta e li proietta verso il futuro con la forza di sentimenti universalmente incorruttibili come l’amicizia, l’unione, il desiderio di evasione. 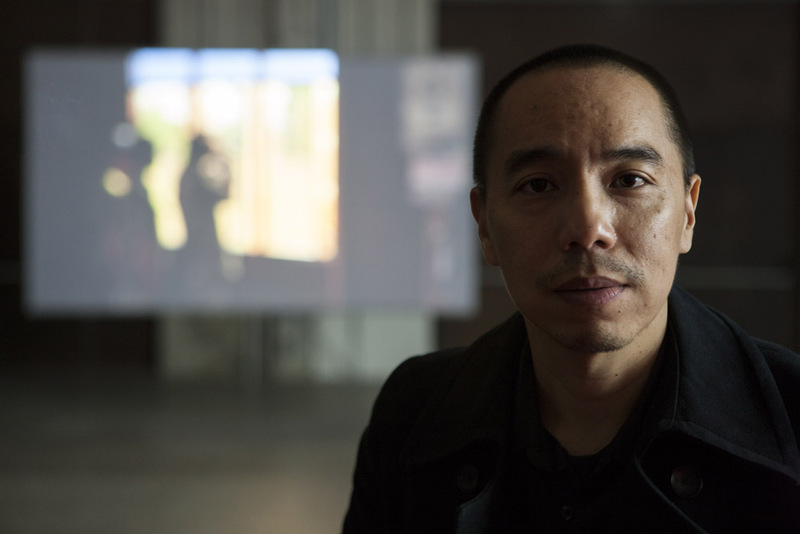 I fatti reali si innestano nella leggenda, nella favola e nel racconto: in questo senso il lavoro di Apichatpong Weerasethakul pone un nuovo paradigma sia nel campo del cinema sia in quello dell’arte, dimostrando come i confini fra accadimenti, documentazione, memoria e ricostruzione siano sottili e ambigui e sempre influenzati dallo sguardo di chi racconta. Primitive è stata commissionata dalla Haus der Kunst, Monaco, da FACT (Foundation for Art and Creative Technology), Liverpool e da Animate Projects, Londra. E’ stata prodotta da Illuminations Films, Londra, e dalla casa di produzione di Apitchatpong Kick the Machine Films, Bangkok. 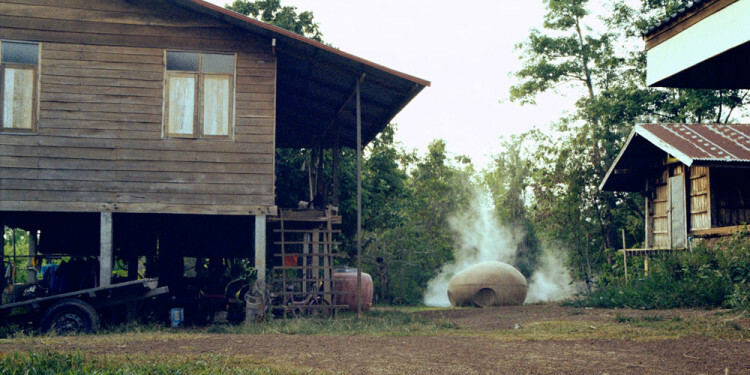 Dalle ore 19 di venerdì 22 marzo alle ore 8 di sabato 23 marzo verranno proiettati i film di Apichatpong Weerasethakul, la maggior parte dei quali in anteprima assoluta in Italia, come Mysterious Objects at Noon. Le proiezioni avverranno in un cinema appositamente realizzato e dotato di proiettori 35mm e video. Lungo la nottata, evento mai prima realizzato, saranno proiettati anche Uncle Boonmee, film vincitore della Palma d’Oro al Festival di Cannes 2010 e a cui la mostra Primitive è strettamente legata, e Syndromes and a Century, in concorso alla 63° edizione della Mostra Internazionale d’Arte Cinematografica di Venezia. 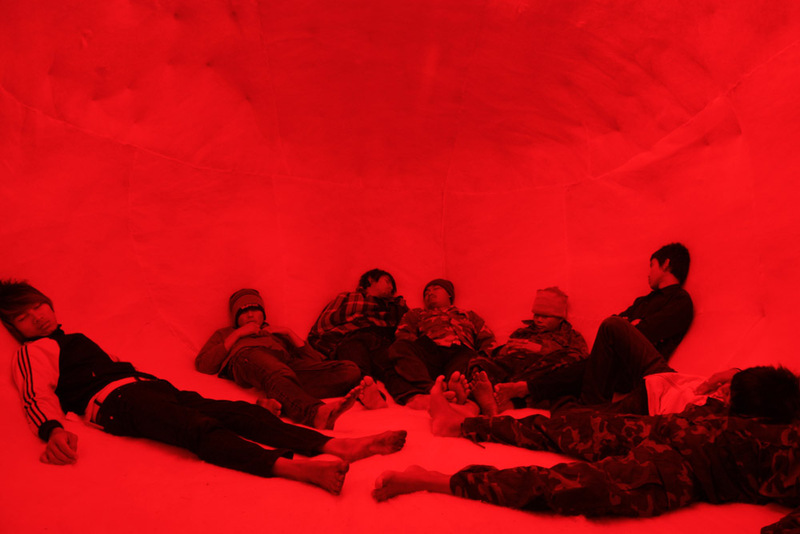 La serata è un’occasione imperdibile per immergersi nel mondo onirico e misterioso di Apichatpong Weerasethakul e si può considerare un’estensione ideale della mostra Primitive. Tutti i film, sia i lungometraggi sia i cortometraggi, saranno eccezionalmente in sottotitolati in italiano. Ingresso libero fino a esaurimento posti. Mysterious Objects è un evento di HangarBicocca, realizzato con il contributo organizzativo di Fondazione Cineteca Italiana e con la collaborazione della testata ZERO.